YMCA Aquatics and Youth Coordinator Amy Pequignot speaks to the students prior to them entering the water. Kids from Kindergarten to 6th grade took part in the Darke County YMCA’s free Summer Splash program. Students at the Darke County YMCA kick their legs poolside during the Summer Splash program Tuesday. GREENVILLE — Area children had the opportunity to learn about water safety, and have fun doing it. The Darke County YMCA offered free water safety instruction classes to local youngsters during its “Summer Splash” program, part of a nationwide event offered annually. This year marks the 11th year the program has been offered by the Darke County YMCA. The classes were conducted for children who have completed Kindergarten through 6th grade. A special class session was set aside for pre-Kindergartners aged 3 to 5 accompanied in the pool by a parent or guardian. Approximately 3,600 people – more than one in four of them children – drown each year, often in preventable circumstances. Participants learned pool safety, boating safety, beach safety, basic swimming skills and basic rescue skills. 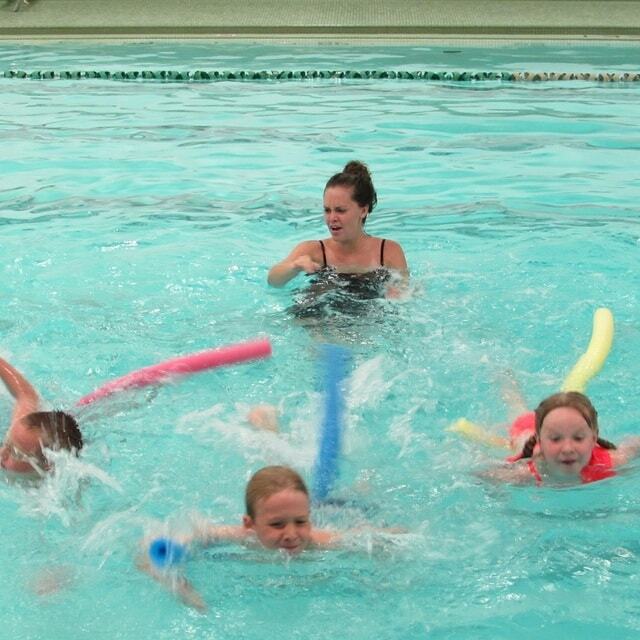 As part of the three days, water safety skills was combined with various activities that emphasize character development through the Y’s core values of caring, honesty, respect and responsibility. Shanna Good, member services director at the Darke County YMCA, said this year’s program included 138 youngsters. Each class held approximately 20 to 25 children, who were taught by five or six instructors. Two lifeguards kept watch during every session. Darke County YMCA Chief Executive Officer Sam Casalano expressed his pleasure with the event. “I would like to thank the Daily Advocate for helping us,” he added. This year’s program was sponsored by the Daily Advocate. For more information on “Y” happenings, visit the Darke County YMCA’s website at http://ymcadarkecounty.org/.